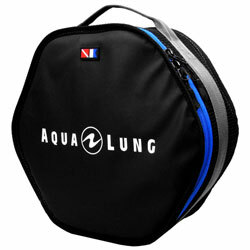 The Aqualung Explorer Collection: Regulator bag is the perfect bag for protecting you regulators and organising your dive kit. The padded air mesh side walls and PE boards protect your gear. The compact design packs flat and hexagonal shape minimizes kinks in hoses.